She became famous for her roles in all the commercial films: Moner Manush, Shudu Ekbar Bolo, Tumi Ele Tai, Swasurbari Zindabad, Aalo, Akrosh, Hungama, Chander Bari, Chaturanga, Muktodhara, Charulata 2011, Tin Kanna, Anuranan and many others. She has done more than 100 films and has worked with directors like Prabhat Roy, Swapan Saha, Haranath Chakraborty, Sujit Guha, Chiranjit Chakraborty, Agnidev Chatterjee, Shiboprasad Mukherjee and other big directors. Her career in parallel cinema started a little later when Rituparno Ghosh, first gave her a break in the film DAHAN, where she played a traumatized house wife. Her performance spoke immensely about her acting talent, which actually brought her the best reward in the film industry - The National Award for the best actress in Dahan . “Another film that brought out my acting skills to the fullest was ‘Paramitar Akdin’. Mrinal Sen complemented me by saying that my performance was very balanced” -she said. Henceforth she worked with Rituparno Ghosh, Buddhadeb Dasgupta, Aparna Sen, Sandip Roy, Raja Sen, Trun Majumder, Anirudha Roy Choudhury, Suman Mukhopadhyay, Shiboprasad Mukhopadhyay, Nandita Roy, Pinaki Chowdhury and many others. When Rituparna worked in Rituporno Ghosh’s ‘Utsav’ or Aparna Sen’s ‘Paramitar Ekdin’ she also worked simultaneously for Haranath Chakraborty’s ‘Swasurbari Zindabad’ and Prabhat Roy’s ‘Shudu Ekbar Bolo’ etc. Actually she is the only heroine in Bengali film industry who could do it. Over the last 5 to 7 years she did the films like ‘Anuranan’ of Anirudha Roychowdhury, ‘Chaturanga’ of Suman Mukherjee, ‘Chander Bari’ of Tarun Mazumder, ‘Mando Meyer Upakhyan’ of Buddhadeb Dasgupta, ‘Bedeni’ of Anjan Das, ‘Arohon’ of Pinaki Chowdhury, ‘Nishijapan’ of Sandip Roy. They all are National award winning directors. She is the most popular star among multiplex audiences. Last year her film ‘Charulata 2011’ was a very big hit all over the city. Her film ‘Muktodhara’ was also running successfully for more than 100 days, Rituparna plays a social reformer who actully does a lot of change in the lines of the prisoners through cultural therapy. This movie has make a mark world wide. 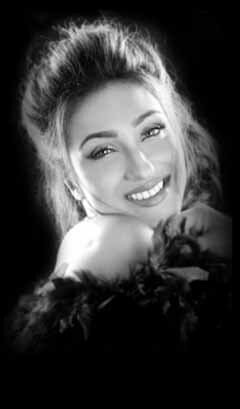 Rituparna Sengupta is a versatile actress with exceptional acting power. She has acted in a lot of films of other languages of south and eastern regions. Her second innings in Bollywood, has created waves with ‘Main Meri Patni Our Woh’. She got a lot of critical acclaim for this superhit film. After this she has done a number of good films like ‘Unns’. ‘Gouri – The Unbarn’, ‘Mittal vs Mittal’, ‘SIRF’, ‘ Life Express’, ‘Dunno Y.. Na Jaane Kyon’, ‘Bumm Bumm Bole’ etc.